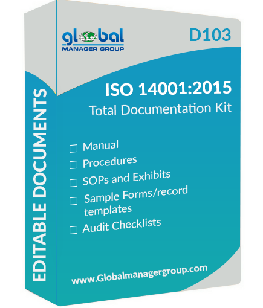 It is desirable to evolve methodology for designing and developing elements of IMS (EQHSMS) based on the guidelines as stipulated by the various document of standard ISO:9001, ISO:14001 and OHSAS:18001. This document deals with the Guidelines and Methodology for designing and developing IMS (EQHSMS) management system. The whole exercises of design and development of IMS (EQHSMS) can be executed in well-planned and structured manner. Therefore, this document intends to present the logical stamps for evolving IMS (EQHSMS) by an organisation. Each of these steps deals with guidelines for Methodology or both for executing particular aspects of the IMS (EQHSMS). Examination of existing management and operational practices and procedures (for example, who is responsible for hazardous waste disposal and how are those wasted stored on site; what are the IMS (EQHSMS) issues relating to the enterprise?? ?s activities that are not directly related to the IMS (EQHSMS)). Previous accidents, incidents, fines/penalties and resultant abatement/preventive measures. Legislative and regulatory requirements and the status of the operation with respect to these requirements (for example, does the operation have the necessary permits for its wastewater discharges).